To design high-performance catalyst materials for sustainable processes, comprehensive insight into their functioning as well as structure-property relations is needed. 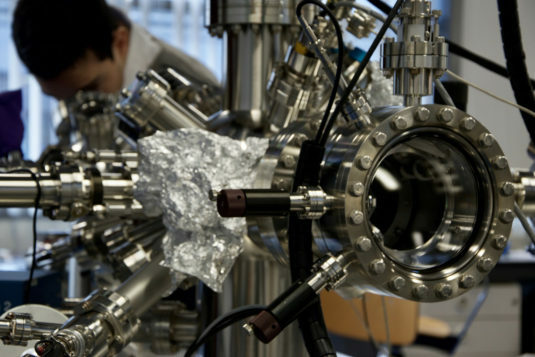 While model studies often use conditions, which are far from industrial reality, modern spectroscopic in-situ and operando instrumentation enables to study catalytic processes and materials under (close to) realistic conditions. The symposium ‘Catalysis under Realistic Conditions’, to be held on November 16, 2018 at Eindhoven University of Technology, features invited national and international expert and highlights research of MCEC member groups. 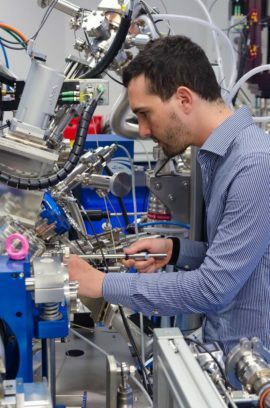 With this symposium, the newly installed Near-Ambient Pressure X-ray Photoelectron Spectrometer (NAP-XPS, click here for more pictures) will be inaugurated and first exciting results will be presented. After five scientific talks, the symposium will conclude with a lab-tour including instrument demonstration and drinks afterwards. Participation is free, registration (see below) is mandatory. Please register before November 1st.